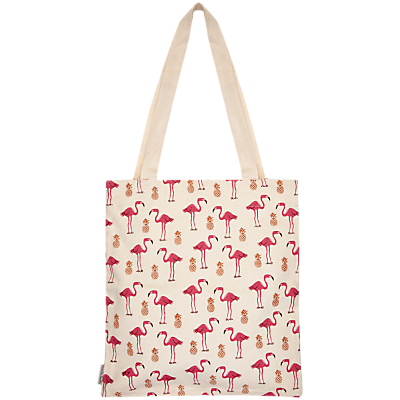 Accessorise your look with this Fenella Smith tote bag printed with fun and fabulous flamingoes and pineapples. The perfect sized bag to keep in your everyday handbag for unexpected shopping trips. A 100% cotton canvas bag with long durable over-the-shoulder handles and printed Rose Tinted design on the back and front. 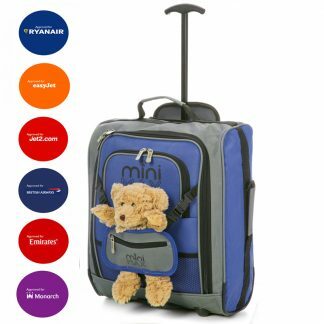 This bag comes folded with a branded cardboard band, making it a perfect and practical gift. 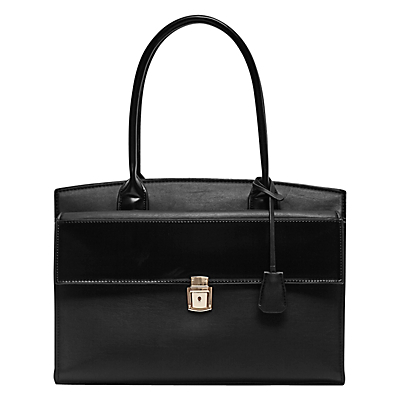 Carry all of your daytime essentials with ease in the Tilly Tote Bag from Fat Face. Crafted from a smooth a sumptuous leather it will add a sleek finish to your daytime ensembles. Generous in size, underneath the top zip fastening you will find a printed cotton lining that features a zipped pocket to ensure your smaller valuables such as your mobile or keys, are kept safe and secure. Complete with stitch detailing to the exterior and a handle you can sweep up to your shoulder, it will soon become a go-to style within your accessory assortment. 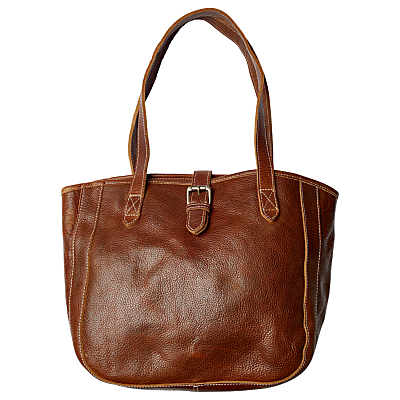 The Small Buckle Oiled Leather Tote Bag from Fat Face is sure to become a favourite accessory this season onward. 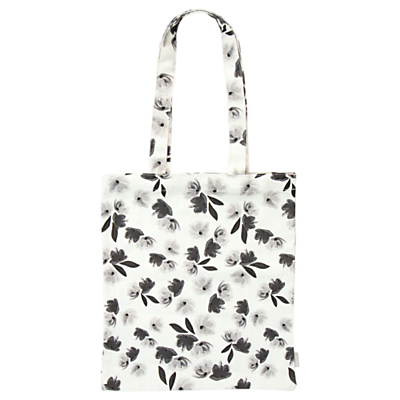 This bag is fashioned with a contrast floral and leaf pattern lining made from cotton. The shell is crafted from oiled leather, designed to age with alluring character over time. 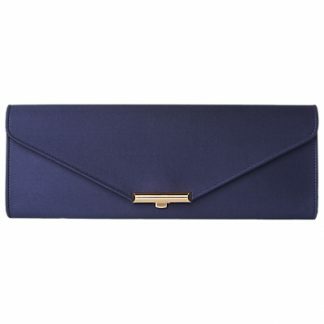 It features an internal pocket and metal buckle detailing. The Capri Tote Bag from French Connection will take you from day to dinner in effortless style. 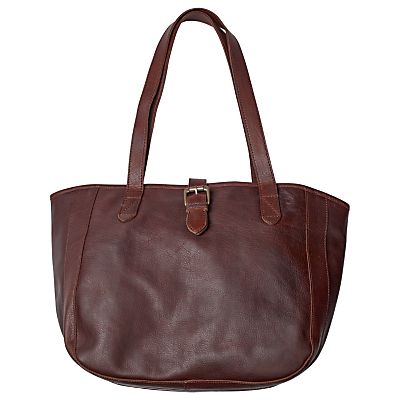 Smart and structured, this leather-look tote features top grab handles and is well equipped to store your daily essentials with a spacious interior including slip pockets and a front flap compartment with a key lock clasp. 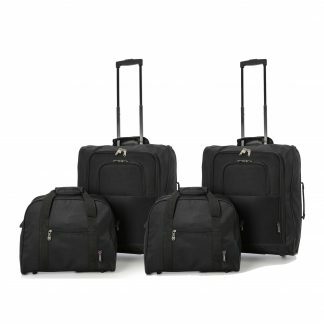 Designed with an adjustable shoulder strap so you can wear it across the body, the top secures with a magnetic fastening while the silver-toned hardware lends a sleek finish. 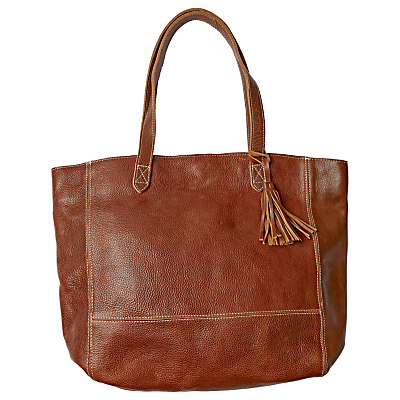 Update your handbag collection with the Large Leather Tassel Tote Bag from Fat Face. Crafted from pure leather and fully lined for the ultimate finish, this bag is cut for a large square shape and features an internal pocket for your valuables and a pretty tassel on the handle. Let this bag take you anywhere from the beach to the bar. Choose a chic and practical piece for the new season with this Small Buckle Tote bag from Fat Face. Crafted from pure leather with a cotton lining, this piece features a handy internal zip pocket to keep valuables safe, two handles that can be worn over the shoulder and a buckle fastening at the top. 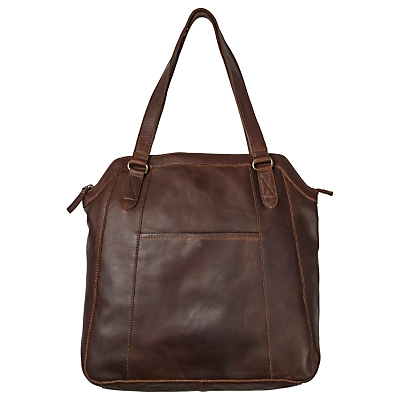 Store all of your daily essentials in this versatile bag. 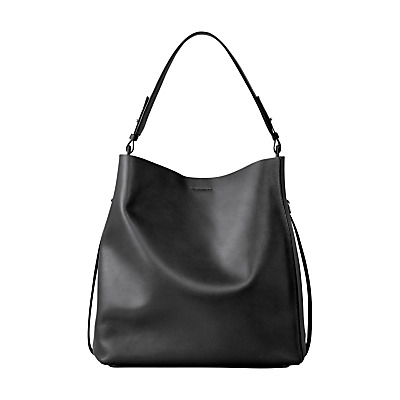 Shop for AllSaints Paradise Leather North South Tote Bag, Black at John Lewis. Find a wide range of Home, Fashion and Electrical products at John Lewis with Free Delivery on order over £50. 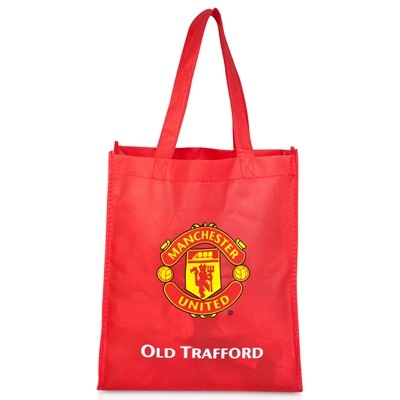 Manchester United Reusable Tote Bag – RedComplete with crest logo to front. Top opener and carry handles. Fabric: 100% Polypropylene. Dimensions 38cm (h) X 36cm (w) x 12cm (d). 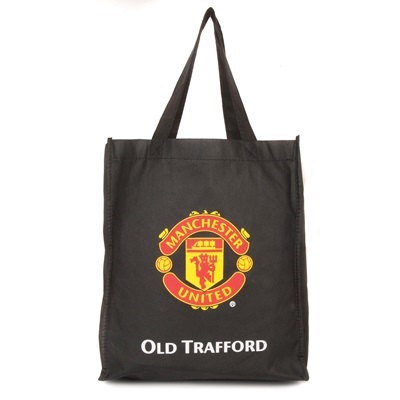 Manchester United Reusable Tote Bag – BlackComplete with crest logo to front. Top opener and carry handles. Fabric: 100% Polypropylene. Dimensions 38cm (h) X 36cm (w) x 12cm (d).